Fitting all that into a blog post of around 300 to 500 words may seem like a lot but with the help of SEO copywriters, each of your blog posts can achieve all of those goals for you. Your website will no doubt be split up into different sections; what they are will depend upon the services and products that you provide. Most websites will have the obligatory Welcome page, About Us page, and the Contact page. These need to be optimized in order to help the reader understand exactly what your business does and how you provide a service that they are looking for. Your copywriter should be able to provide all of the content for these pages of your website, but remember to make a note of your most relevant keywords and most important contact information (for local SEO purposes). The next thing to think about is the blog and how to write each post with the above mentioned goals in mind. Again, perhaps the best way is to pass the responsibility over to the copywriters who provide a blog writing and management service. With the keywords in mind a writer will begin to research your company, the latest news surrounding your industry, your services and the target audience. Once research is completed, the writer will then proceed to create a unique blog post with the reader at the foremost of their mind. SEO these days is not about how many times you are able to insert the keywords into each post. The important factor these days, thanks to the changes brought in by the Google Panda update is to remember the reader at all times and produce effortless optimized copy that benefits everyone. Keywords are still used and these will become the anchor text to help create deeper links into your website. The only difference is that you need to create informative, useful, and compelling content surrounding these one or two links which the reader can read with ease. That way, your website can serve as a good resource for your audience as well as the search engines, whereupon your search rank performance should theoretically start to improve. You cannot expect to reach number one in the search engines’ results pages (SERPs) without working on a complete SEO campaign. Optimized content creation is one of the ways you can most effectively enhance your impact on the SERPs. Combine this with the other components of your SEO strategy – like link building, local search marketing, online reputation management, and social media marketing – and you should find you are onto a winner. Copywriters can be easily outsourced, and you can use their services only when you so require them. Working with a team of UK-based writers means you have easy access to quality content without having to hire an extra employee or dealing with the extra costs and administrative tasks a new staff member might require. About the author: Learn more about the benefits of using copywriters for your business. 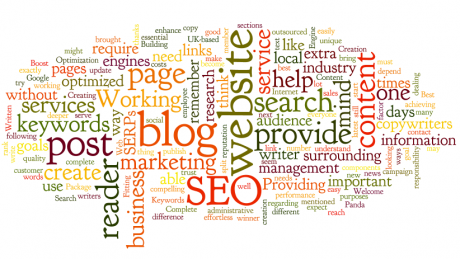 Contact SEO copywriters to ask about their services and request a free quote.